We Do Complex Surgery Billing! 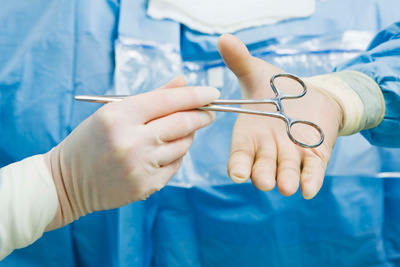 How frustrating is it to try to code correctly for all the surgical procedures you perform? Short of listening to your dictation, it’s impossible to remember every aspect of every procedure when you finally get around to filling out the encounter slip. Why can’t the coder just do this for you from the dictation? At Medical Billing Resources, we can! Our Certified General Surgery Coders are specifically trained in coding and billing from operative notes, with no other materials required from you, the surgeon. Just dictate and go. In this age of reduced reimbursements, you can’t afford to leave 10-20% of your receivables on the table, the percentages typical with in-house billing operations. And you can’t afford to have someone doing your billing who has no experience with reading and interpreting the op notes you dictate. With Medical Billing Resources, we have the education, experience and technology to interpret and submit better claims with higher allowable fees because we know how to find the often-missed procedures in your op notes, and we use claim scrubbers to preempt denials by ensuring all information in each claim follows payer-specific guidelines. We know what modifiers to append where, and when to bundle and unbundle, getting you higher reimbursements while still keeping you compliant with regulations. Are you sure your biller knows the ins and outs of regulatory compliance and proper use of modifiers, surgical and otherwise? We can increase your pay without you having to see more patients, enabling you to provide thorough care. Just think how much time will be freed up when you don’t have to do your own coding. With Medical Billing Resources, this can be a reality.